A colorful array of Oranges, Red Delicious Apples, Fuji Apples, Golden Delicious Apples, and Anjou Pears. Perfect for the fruit lover! Ordered the basket on line as a gift for St. Louis relatives. 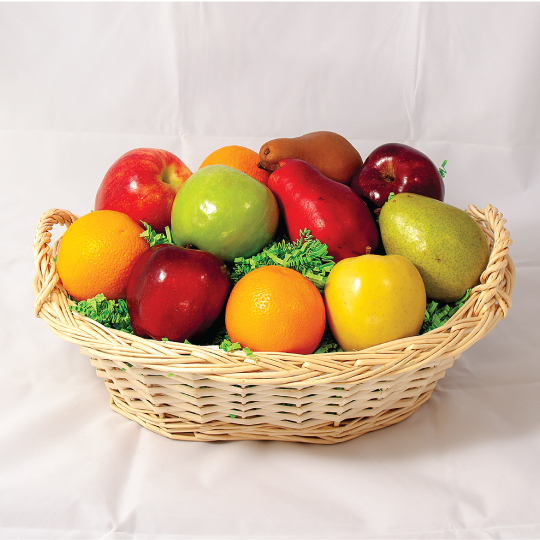 Basket delivered on time and the quantity and quality of the fruits drew rave reviews!